Line 6 Relay G50 Digital Wireless Guitar System WIRED GUITAR TONE. WIRELESS GUITAR FREEDOMDiscerning guitarists choose Relay.Designed for musicians who value pure tone, Relay® digital wireless systems deliver unparalleled sound quality—without compromise. Cable Tone matches the unique character..
TRAVLITE CLARINET STAND DS440BThe HERCULES TravLite Clarinet Stand DS440B of solid construction is sturdy, lightweight and folds compactly for storage inside the bell; velvet pads protect the bell of the instrument. FeaturesThe Lightweight Design is easy to set up and provides a strong, stable ..
MDR 624 - MixerThe MDR624 is a six-channel mixer with two low noise microphone preamps. In addition to the two mono mic/line inputs, there are two channels with left and right inputs to handle stereo signals. 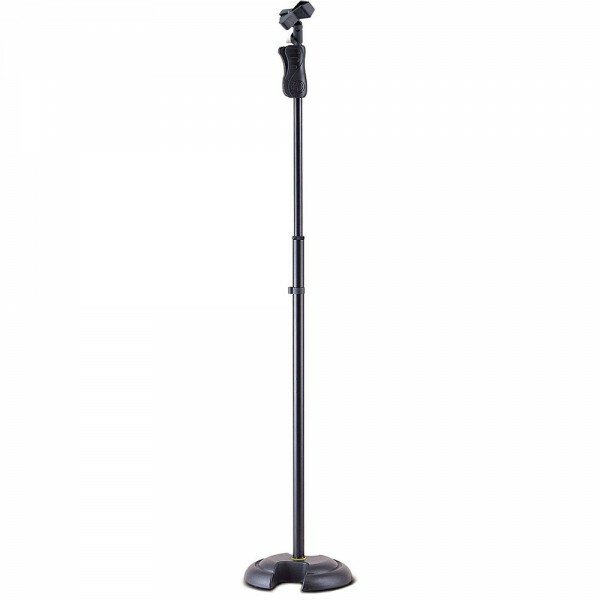 For added flexibility, you can change the tone quality of your microphones or other line in..